My ten hop plants flourished all summer long. I inherited these plants along with the community plot. They are rhizomes and started to appear in late May. After six to eight weeks they spread upward and entangled themselves into the fence. Around late July they started to form little cones which reached maturity after three months. They grew at different rates and some appeared months after the others. The older more mature plants were larger. Unfortunately, a few of the plants were either to immature or too old to harvest. It’s important to inspect the hops regularly as they can become dried out very quickly. Here is the low down on the good, the bad, and the ugly of harvesting hops. 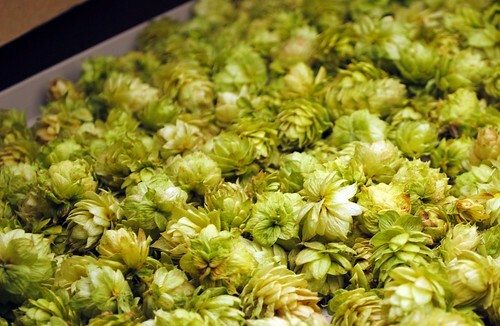 Smell– Hops become very aromatic when they are ready to be harvested. They smell similar to pine trees. 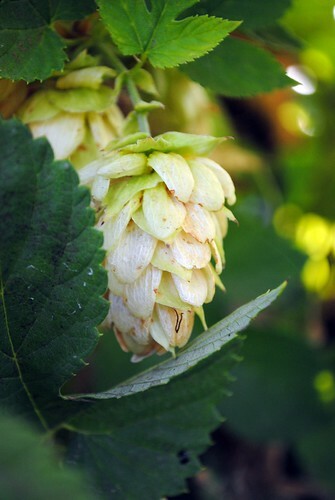 Appearance– Hops will appear papery and dried slightly on the edges. The interior of the hops, called lupulin, will be yellow in the middle. Touch- When you squeeze the hops between your fingers they will have less moisture and will compress and then slowly spring back. 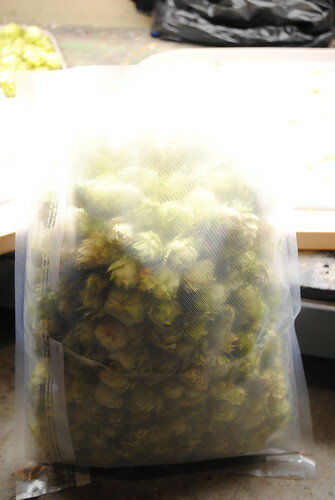 Appearance– Sadly, hops that are dried, brown and lack any moisture are too old to harvest. They are too immature if they are very green. Smell– Hops that are immature will have a slight scent that is more like grass. 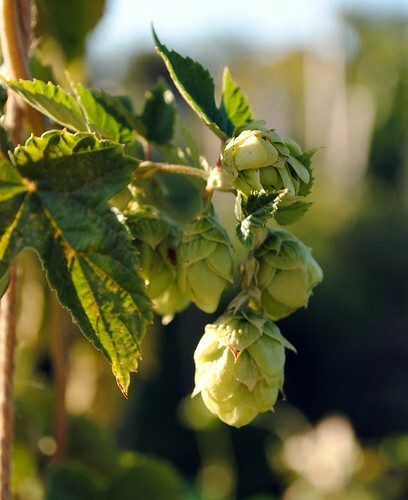 Touch– Hops that are immature contain a great deal of moisture and will stay compressed when pinched. Hops don’t have many enemies but there biggest one is the evil hop aphid. This plant became infested with hop aphids which made them unusable. The small bugs and their larvae completely covered the plant. It was packed between a slew of tomato plants and I suspect it was over watered which left it vulnerable to infestation. Once the hops are picked they will need to be dried. You can use a dehydrator for several hours or do what I did and lay them on a flat surface and allow to dry naturally. I dried mine in the garage away from any animals and direct sunlight. This took about five days to become completely dry. 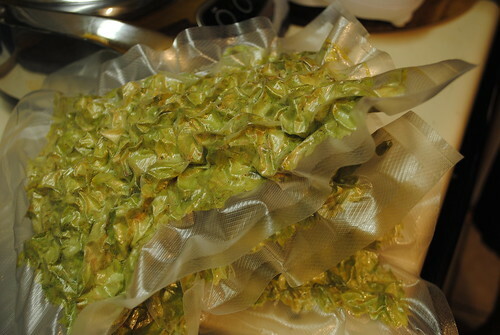 A vacuum sealer was bought just to store the hops. It’s important that air is removed to prevent them from developing mold. They were bagged, sealed, and placed into the freezer for future use. During my research I found that hops are extremely toxic to dogs. If dogs ingest hops they will develop malignant hyperthermia (which is an uncontrollable fever and is lethal). When harvesting hops or if you are brewing home keep dogs away from them. More information can be found here. Congrats on your hop harvest! 2010 was good for growing hops here in Minnesota. 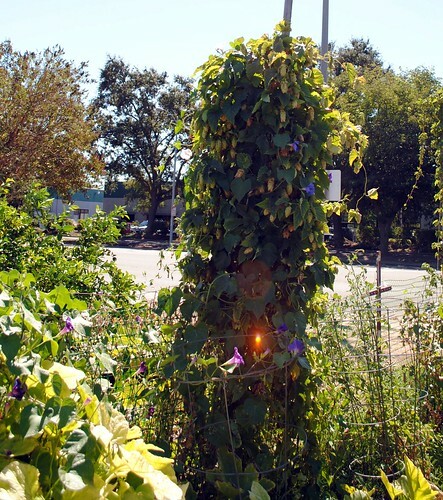 You should try going higher with your hop bines – it is a bit of investment in time and materials, but they love to climb. I use a pulley system that gives me 13 to 15 feet in height – I wish I had more vertical space. Like you say, the timing of the harvest has to be just right. 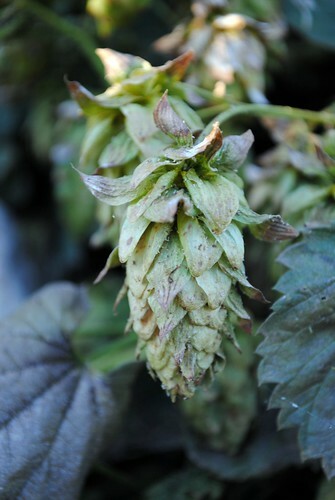 In the same harvest you will find immature hop cones and over mature cones. You just try and pick the hops when the majority are “just right”. Cheers to this year and double cheers to next years hops! Thank you, I appreciate your input and advice. The hops are quiet the conversation starter with the other gardeners.